Being on a very restrictive diet often makes me miss foods I used to consume, a regular milkshake is one of them. When I was battling really intense Ulcerative Colitis symptoms only months ago, I had to rely on an Elemental diet ( pre-digested food supplement ) I used to take 3-4 Absorb Plus shakes a day and that helped heal my gut and gave me energy to carry out my day to day activities. As my body slowly healed, I was able to decrease the number of Absorb plus and slowly introduce easy to digest foods. Now, I still start my day with a nutrient packed shake that is much tastier than powder. 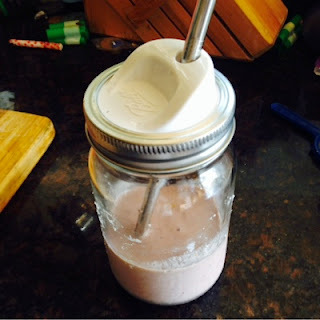 I use Milk kefir and coconut milk kefir to power up my shake with 50+ strains of probiotics. The kefirs also offer a good source of good fats and protein, then I add my grass fed gelatin for more protein and gut healing powers and joint support. 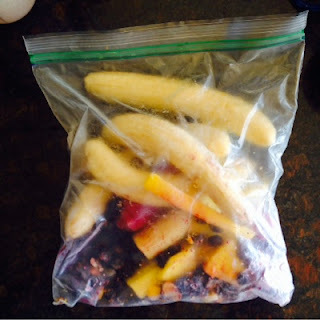 I keep a supple of frozen fruit in the freezer and add to it as I buy fresh fruit. I have found the combination of these ingredient gives me the best thick milkshake like texture and amazing taste. 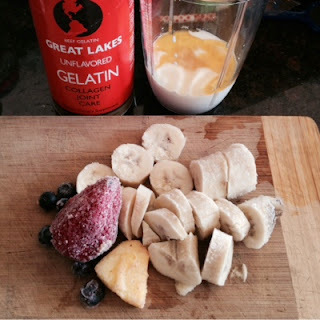 This is my go to meal replacement, a treat or dessert. This shake is so good that it makes me forget all about any food restrictions. Put all ingredients in a blender, I use a Nutribullet and let everything sit for a couple minutes to defrost before blending, otherwise I sometimes get chunks of the frozen fruit in the smoothie. 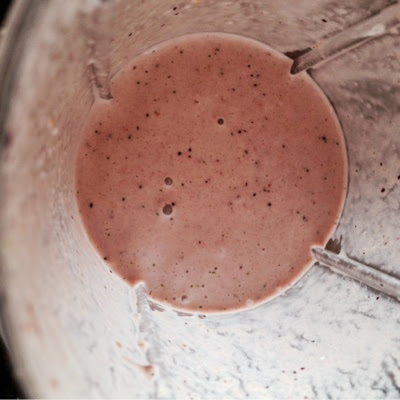 If you have Vitamix or Blendtec, you probably can go straight to blending.